Do you want to improve your social media ad campaigns? Here are the 5 tips for you. Home / communication / Do you want to improve your social media ad campaigns? Here are the 5 tips for you. Want more from the social media efforts. Then get ready to try ad targeting. Use the accurate tactics of delivering and following the social media campaigns,will help in generating quality leads. 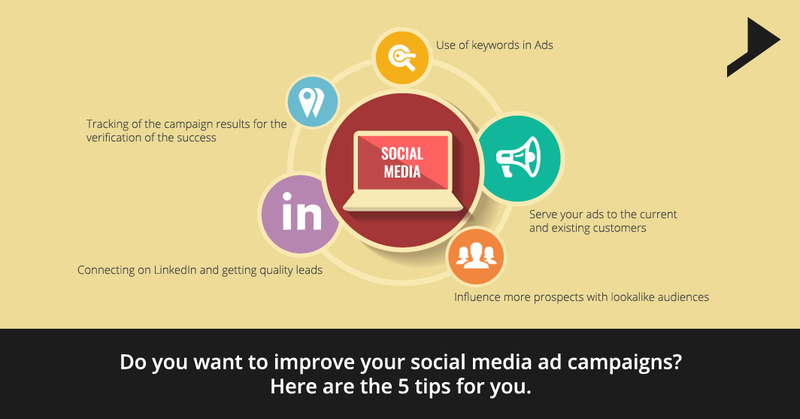 Here are the few tips which can be helpful in improving the social media ad campaigns. #1: Use of keywords in Ads. Take a survey to know what the viewers are searching for in the industry. For this purpose you can utilize keyword analysis which will help you to know more about the interest of the target audience. To get started with, just you have to go to the Google AdWords and sign in. Next you can hover over the tools and select the keyword planner from the menu which appears. Many of the marketers try to focus more on getting new customers but think what if, all your current customers buy the product once more. What if they opt a service which is more expensive? Think what will be your role in such a condition. Researches reveals that it costs 10 times more to achieve a new customer than to retain the existing customer. Hence the best thing to do on priority is to take steps for retaining the customers. For doing this the most effective way is creating a custom audience by uploading the existing list of email addresses for using it in ads on Twitter, Facebook and Instagram. To get the start on Facebook is to open the power editor and just click on the audience tab at the top of the page. Alike the custom audiences look alike audiences influence the existing customers to help find the people similar to prevailing customers. After creating a look alike audience in Facebook the platform sources the highest 1% of the actual Facebook users whose behavior matches with the established customer’s behavior. This is a method of reaching the target market at a lower cost. Reaching out the prospective leads on LinkedIn helps in opening the doors on social media. You can send message directly to the inbox of the customer and start building up the relationships with them which will help you to confirm that it is a genuine lead. Upgrading the LinkedIn account will definitely filter the searches by different categories including, years of experience, industry, current company, level of seniority and much more. Tracking the results helps in understanding whether your social media efforts are worth or not. All the social media platforms are persistently evolving with algorithms and to stay ahead of those is the need of the hour. Efforts will help you to know where to invest the resources available to maximize the returns on social media marketing. Analyze common metrics including posts engagement, retweets, shares, favorites, likes etc. Determining the percentage of sales from your efforts for social media marketing becomes easier with the conversions through the Google Analytics which is based on the traffic coming from the social channels. Sometimes social media marketing can be overwhelming. Even after consistently creating, scheduling and monitoring the results you might be wondering what else you need to do to get ahead with the social media ads. What is your point of view? What all have you tried to stand out from the competition? What are the tactics which will work for your business? You can share your thoughts in the comments below. Maddy! People know me by this name. 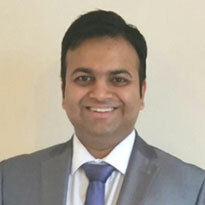 I am a Digital Marketer and Enterprise Blockchain Consultant. Started as a Director - Strategy for Sweans Technologies for almost 4 years, I handle digital transformation internally and take on a digital consulting and training role for large accounts externally.